Lucy Hale was photographed carrying Hat Attack in Los Angeles yesterday! 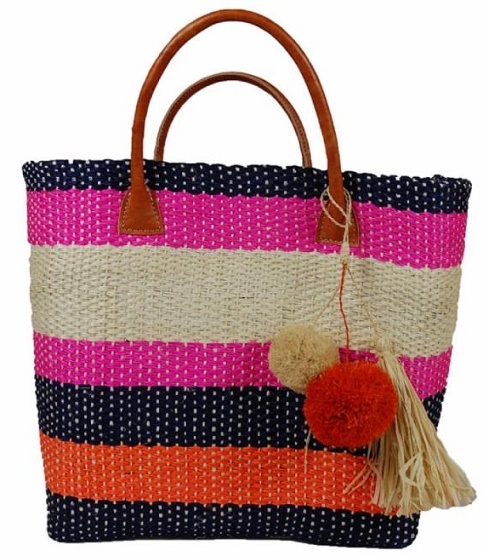 The Pretty Little Liars star added summer vibes to her look with the Provence Tote in Pink Multi ($115; www.hatattack.com). The same style Emma Roberts was recently carrying! Learn more about totes in our fashion influence section. Shannon Woodward carried Tyler Ellis last night in Los Angeles at the Westworld Premiere! The actress paired her chic burgundy dress with the Black Satin Lee Clutch (price available upon request www.tylerellis.com). Shannon Marie Woodward is an American actress known for playing Sabrina on Raising Hope and Di Di Malloy on The Riches. She has been cast in the upcoming HBO series Westworld. Inspired by the motion picture “Westworld,” written and directed by Michael Crichton. Lucy Liu carried Tyler Ellis to the 2016 American Theatre Wing Gala Honoring Cicely Tyson in New York City last night. The actress accented her pink floral gown with Tyler Ellis' Jamie Clutch in Silver (www.tyler-ellis.com). Lovely red carpet look from Lucy Liu. Canada Goose, the world’s leading maker of Arctic luxury outerwear, is venturing into new territories this season with the introduction of online retail in two of its key European markets. 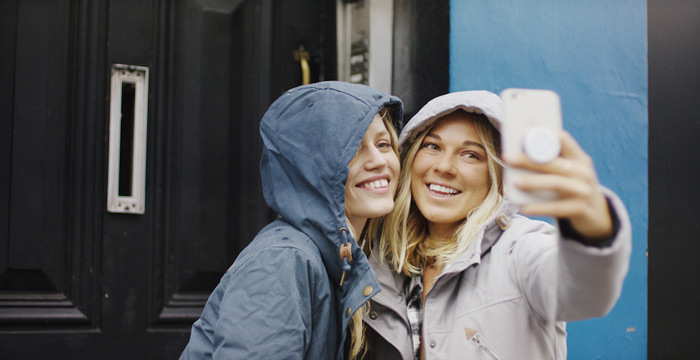 From today, fans of the brand in France and the UK will be able to shop the collections directly through the canadagoose.com site. The launch marks Canada Goose’s first direct to consumer channel in Europe and comes in direct response to the overwhelming demand for its iconic parkas, jackets and shells in France and the UK. The brand, which has enjoyed explosive growth of over 2000% the last decade, counts the two markets as its largest and fastest growing in Europe. 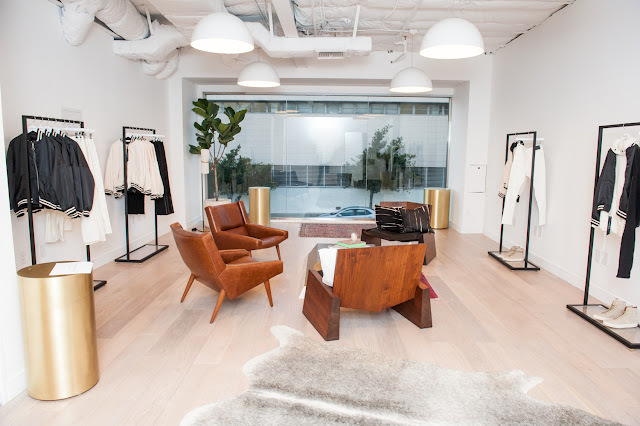 The digital European flagship brings the brand closer to some of its most loyal consumers and gives them a luxury shopping experience which reflects the spirit of Canada Goose. 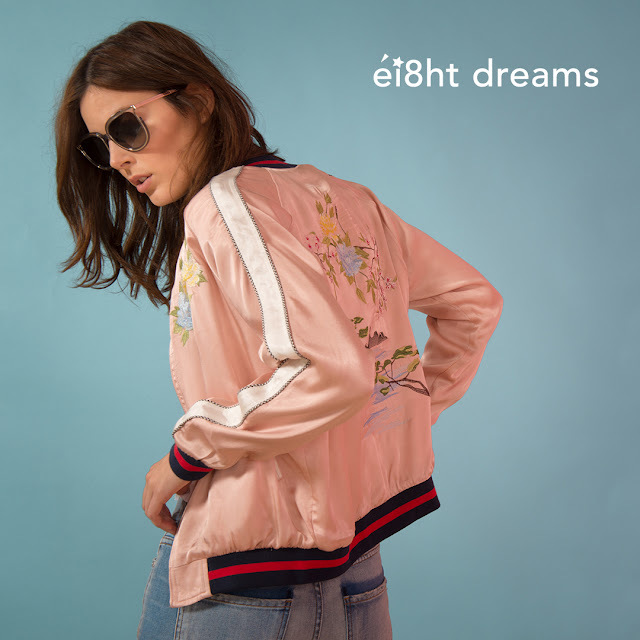 As well as offering exclusive styles, limited-edition collaborations and free standard shipping, the site uses features such as fit analytics to help shoppers find the perfect outerwear piece to suit their shape and style. The new Canada Goose Autumn/Winter 2016 collection, which brings a distinctive and covetable aesthetic to the brand’s functional heritage, is available to purchase online for the launch. The collection features includes the re-design of an award-winning classic – HyBridge 2.0 - as well as new innovative styles such as the Savona Jacket, which is an urban update to the classic bomber in a sleek feminine silhouette, and the Woolford Coat, a utilitarian influenced bomber length style. The introduction of online retail in Europe follows its launch in Canada in 2015 and comes just ahead of another important milestone for the almost sixty year old Canadian company. 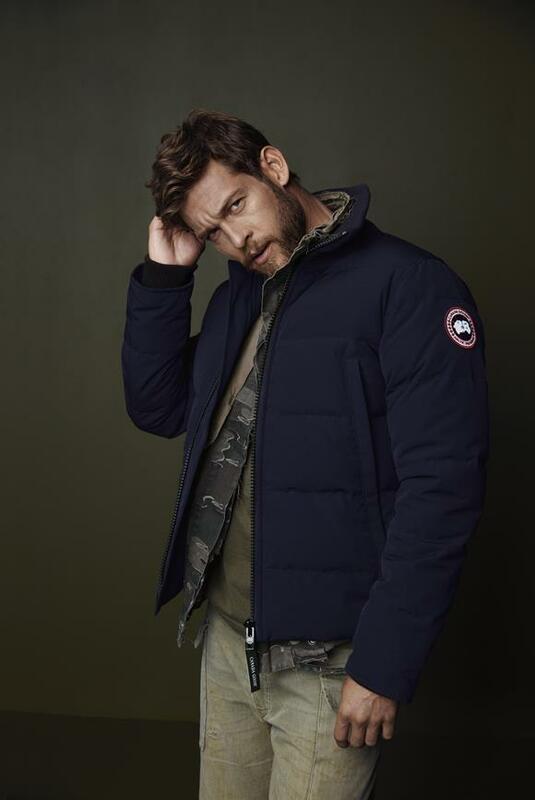 Later this year, as part of its plans to drive continued global growth, Canada Goose is opening two standalone flagship stores in Toronto and New York. 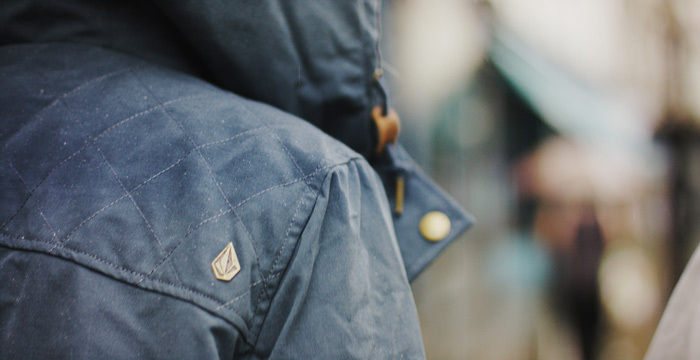 Learn more about Canada Goose here on Apparel Search. You can also read more outerwear blog posts about Canada Goose here on the Fashion Blog. Thank you for taking the time to read our outerwear blog post. We hope that you have found this news to be informative. If you have comments or questions, please add your thoughts in the discussion area below. 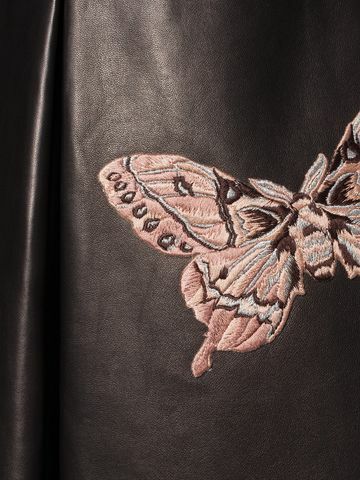 As seen on the Autumn/Winter 2016 runway, the statement lambskin leather dress from Alexander McQueen features ruched shoulders and is embroidered with the beating wings of golden butterflies. You can shop for this dress now at the Alexander McQueen website. Black and multicolor lambskin leather dress. A key piece for the AW16 collection, the dress has placed tulle embroidered moth details, a low v-neck front, ruched shoulder and sleeves, finished with a front split. 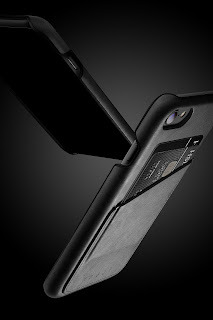 MATERIAL 100% Lambskin. 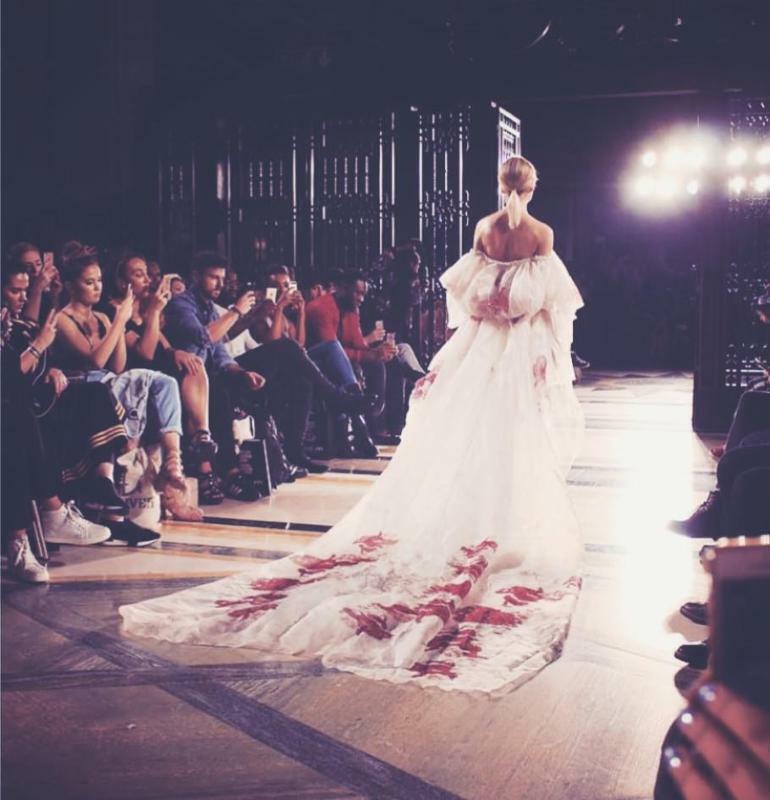 See more from Alexander McQueen here on the Fashion Blog. Jennifer Aniston was recently photographed wearing Parker Smith jeans in New York City. The actress looked jetsetter chic, pairing her black bomber jacket and fedora with her Parker Smith Girlfriend in Old Blues Destruction (on sale for $99; www.parkersmith.com). Learn more about Jennifer Aniston in our female fashion celebrity section. Malan Breton showcased Spring/Summer 2017 men's and women's ready-to-wear collections on September 18th at 19:30 at the Freemason's hall during London Fashion Week. This season, the designer is inspired by the myth of Psyche, and the fables of the butterfly, the butterfly plays a significant part in Taiwanese indigenous culture. The collections represent a new romantic element that is enhanced by beadwork, printed silk organzas, and fusings of denim, silk, and other fibers that exude innovation and deliverance, and use his synonymous west meets east inspiration. Malan Breton incorporates these principals while maintaining highly wearable pieces that contain influence from sportswear to couture elements. Delivering a dynamic performance and overall vision for Spring/Summer 2017. The collection will feature a shoe collaboration with Michela Rigucci for women, and a new collection of Malan Breton luxury leather handbags and luggage. Buyers and retail representative guests of the show will have the opportunity to purchase the collection right off the catwalk using the Markable Application. Video and production elements created by Cinemalan Productions, and music by Gabriel Yared. This season, Malan goes back to his bespoke menswear roots at a famous British Heritage line to create options for women, keeping with his strong concept of incorporating Taiwanese fabrication, and indigenous techniques. Originating from Taipei, Taiwan. Malan Breton, the designer, founded Malan Breton® collection in 2005, following his training at Turnbull & Asser, and Scaasi. Malan Breton® HOMME in 2010, Malan Breton® Bridal, Underwear, and Cosmetic lines for 2016. The Malan Breton® collection is shown each season at New York Fashion Week, also being presented in New York, Taiwan, China, France, and London to retailers. Breton has been designing since the age of eleven, and is known for his signature detailing, his ethereal gowns, and simple shift dresses. For men he is known for his sharply tailored suits, use of color, and impeccable fabrics. The collections can be found at department stores, and specialty boutiques around the globe, Breton is also a master of the made to measure suit, and has a steadfast following of businessmen, celebrities, politicians, and royals globally. Malan Breton® is the recipient of the 2016 FGI "Rising Star" award in Menswear, the 2015 European Fashion Council's "Eirene" award, the 2015, and 2016 Taiwan Tourism Award for contributions in fashion, and media. In 2011 Malan Breton® and NBC Universal were a nominee for the WGSN Global Fashion Award in 2011 for Outstanding collaboration. 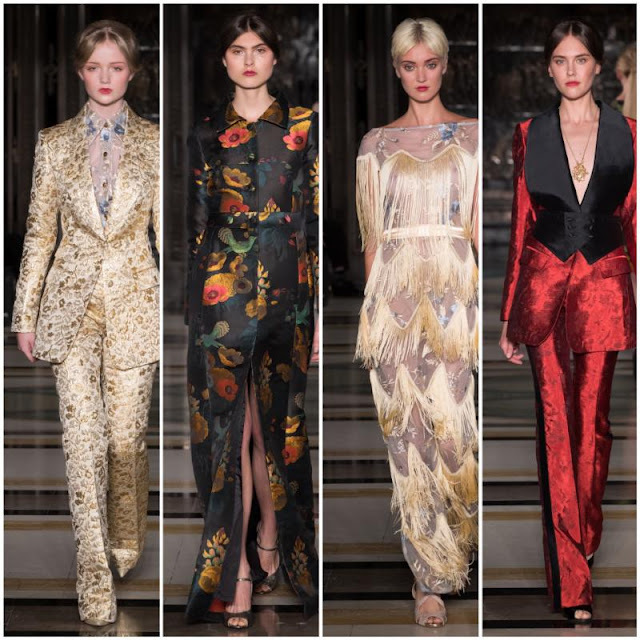 Malan Breton's collections have appeared on the world's brightest stars, and most elite red carpets. Fashion bloggers, influencers, and celebrities such as Tyga, Kylie Jenner, Jessica Gomes, and Jordyn Woods gathered on September 22, 2016 to celebrate the launch of daniel patrick x T - Raww collaboration at the REVOLVE Social Club in Los Angeles. 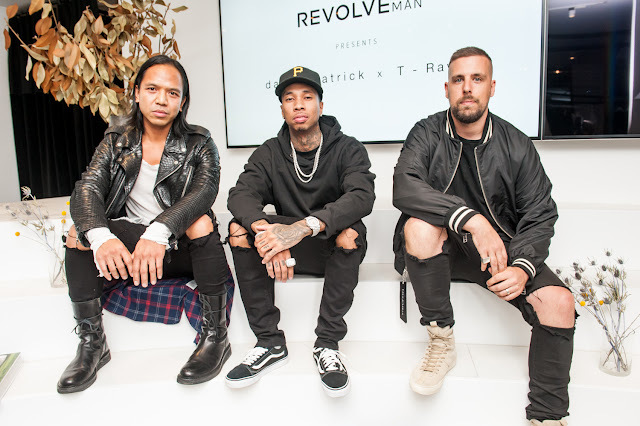 Hip-hop superstar Tyga and high-end streetwear designer, daniel patrick have partnered with REVOLVEman to launch the limited edition capsule collection. 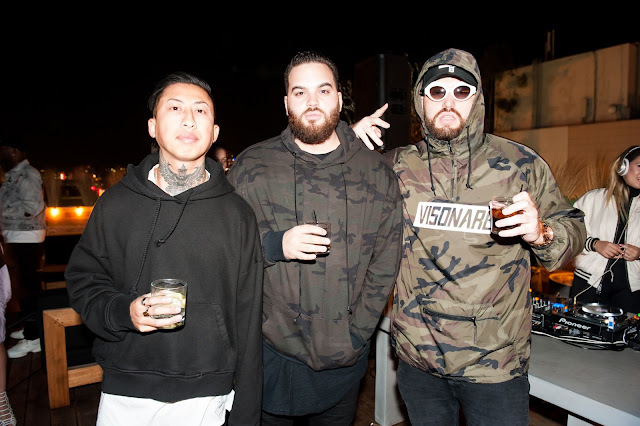 Guests previewed the collection and enjoyed light bites, libations, and music by DJ Honey. 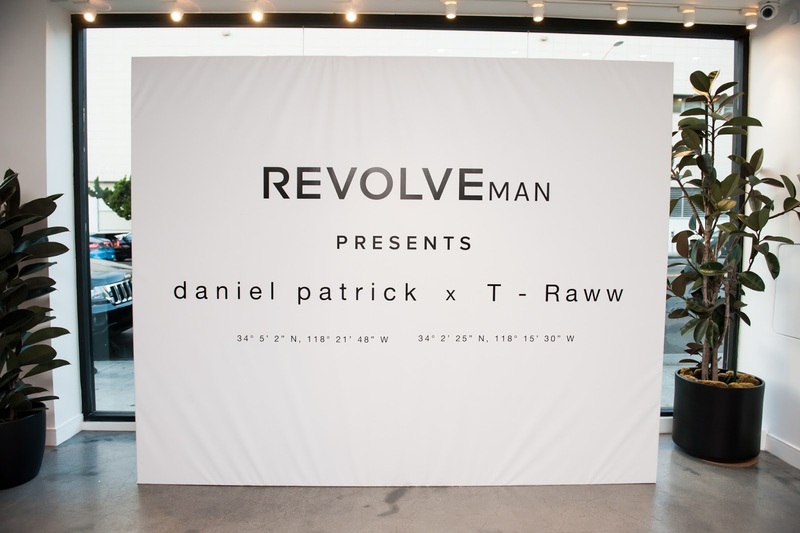 daniel patrick x T - Raww will be available at REVOVLEman and daniel patrick's flagship store on Melrose and e-commerce site (www.danielpatrick.us) and ranges in price from $110 - $600. 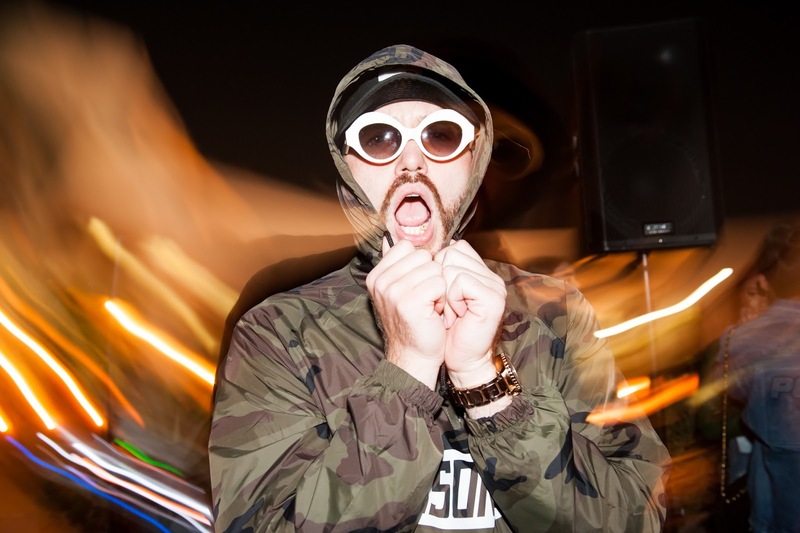 Daniel Patrick, the man behind the nomadic vision, was born and raised in Sydney, Australia. He moved to the US in 2011, founded daniel patrick inc. and launched the Knomadik by daniel patrick line in early 2012 with his wife, Jenny. Based in Los Angeles, California, Daniel achieved a childhood dream of his - becoming an American citizen in 2015.Designed and Housed in their DTLA headquarters, with attention to detail, each piece in his collections are individually handmade from start to finish using materials sourced in Los Angeles, California. REVOLVEman is the premier online multi-brand retailer representing a refined group of menswear collections from both established industry leaders and the new class of emerging talent. With an unrivaled selection of over 200 brands, REVOLVEman offers a highly curated edit of elevated core essentials, street wear, and nouveau classics. 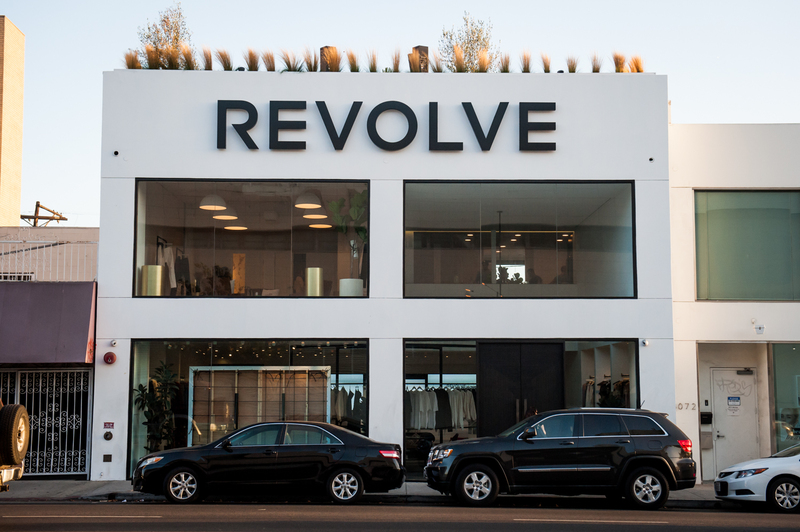 With an avant-garde attitude, REVOLVEman resonates with the fashion-forward consumer on a global scale. Hats are becoming a big trend this year. Celebrities such as Future and Pharrell have been seen wearing oversized fedora’s and other stylish hats. Usually the hats are paired up with skinny jeans, a slim fitted t-shirt, and oversized cardigan. 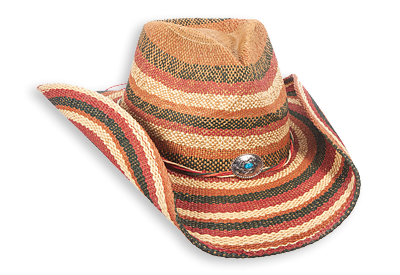 These hats have been more apart of people’s outfit set-up lately, and have been becoming a very popular accessory item. We want to introduce to you a new exciting brand! Dorfman Pacific is a headwear brand that comes in handy for any recreational purposes. Their brand carries different style hats that can be used for everyday errands, outdoor recreation and other activities. These hats can make the perfect gift for the holiday’s or special occasion. 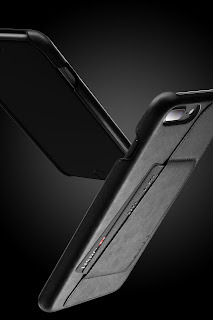 Dorfman Pacific has over 7 locations, in which they carry over 11 brands. One of their premium brands is Tommy Bahama. Dorfman Pacific prides itself in being one of the largest full-line, in-stock headwear and handbag companies in the world. 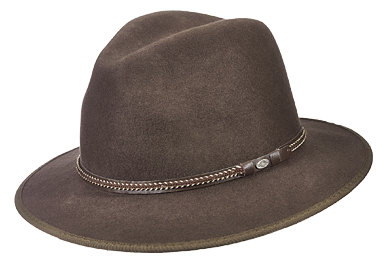 Their company began in 1921 as Dorfman Hat & Cap Company in a 5,000 square foot facility in Oakland, California. They recently celebrated their 90th year in business at our 275,000 square foot facility in Stockton, California. Dorfman is also fond of giving back, they have donated over 3 million dollars to charities worldwide. They’re especially passionate about giving back to their community of Stockton, CA! They have teamed up with local food banks to donate hats, gloves and scarves to families in need during winter. Not only does Dorfmaan provide themselves on giving back, they’re also a great place to work for. Building a team of employees is key to a successful business, a great team is also beneficial to customers. On the job development training, Employee of the Quarter rewards and even a Manager Car Wash where employees can watch their managers clean their cars. Dorfman Pacific has launched several projects such as saving our forests with our eCatalogs, conserving energy with our solar powered distribution facility and saving water by installing a waterless restroom system in our facility. By the way, they have a fine selection that may be the perfect look for when you attend a Therby event or any other day of the year. Sofia Richie was photographed wearing a Lili Claspe body chain earlier this week while shopping in Los Angeles. Sofia accented her long shirt dress with layered gold jewels including Lili Claspe's Brigitte Harness in Gold ($150, www.liliclaspe.com). Below is another beautiful fashion model wearing the body chain. Katherine Heigl shared a photo on Instagram wearing Seraphine earlier this week on September 2oth, The Doubt actress glowed while cradling her growing baby bump in Seraphine's Black Seamless Maternity Overbump Leggings ($25; www.seraphine.com). Other celebrity fans of Seraphine's must-have maternity leggings include Ashlee Simpson, Chrissy Teigen, Karolina Kurkova, and Naya Rivera! Leggings from Seraphine makes the perfect maternity fashion idea. To further accelerate its e-commerce, digital and mobile efforts, Nordstrom, Inc. announced that it has appointed Ken Worzel as president, Nordstrom.com. Co-President Erik Nordstrom will now be responsible for the Nordstrom brand, including Nordstrom stores, Nordstrom.com, and Trunk Club as well as Customer Care, Marketing and Supply Chain. Co-President Blake Nordstrom will be responsible for the Nordstrom Rack brand, including Rack stores and NordstromRack.com/HauteLook and other corporate functions including Finance, Technology, Legal and Human Resources. Co-President Pete Nordstrom will continue to support all of the company's merchandising functions and Store Planning. He will also remain closely involved in all areas impacting the Nordstrom brand, including marketing. 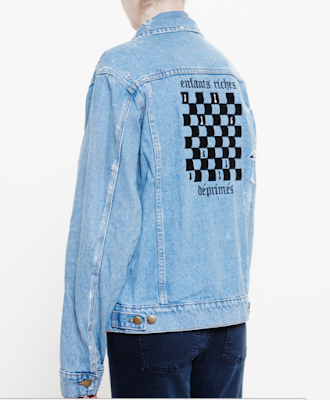 Sofia Richie was spotted wearing an Enfants Riches Déprimés denim jacket while out with friend and fellow model, Bronte Blampied on September 19, 2016 in West Hollywood, CA. This brand made a very trendy denim jacket. Sofia wore her denim jacket and Bronte Blampied wore her denim shorts (not sure the brand of the shorts). Don't you just want to kiss Sofia Richie. 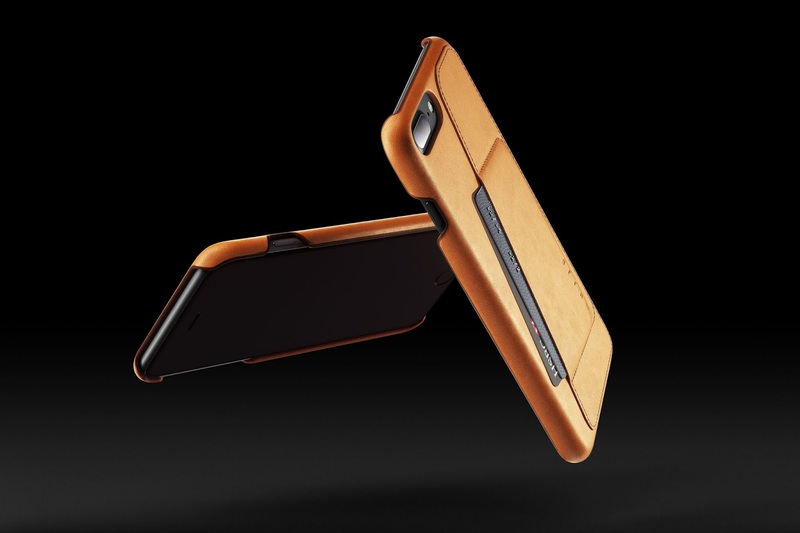 Originally planned for last Monday, today MUJJO officially launched their line-up for iPhone 7 with ten cases. The cases are specifically designed to snugly fit the iPhone 7 or 7 Plus. 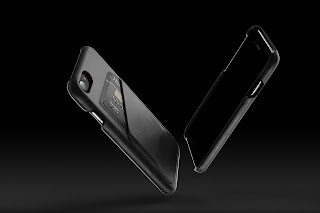 Featuring their premium quality signature leather in the brand's instantly recognizable colors: black, tan and gray. 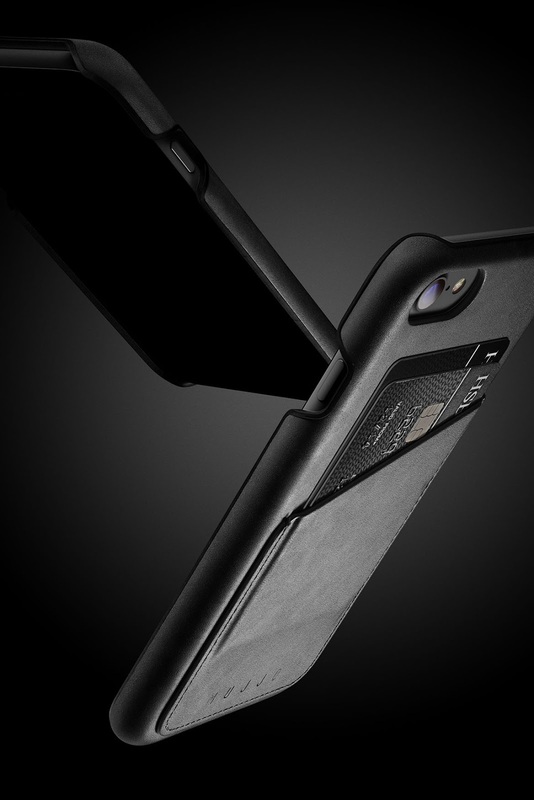 Designed to hold 2 to 3 of your essential cards – such as bank, ID and commuter cards – in one sleek package that feels barely larger than the iPhone 7. 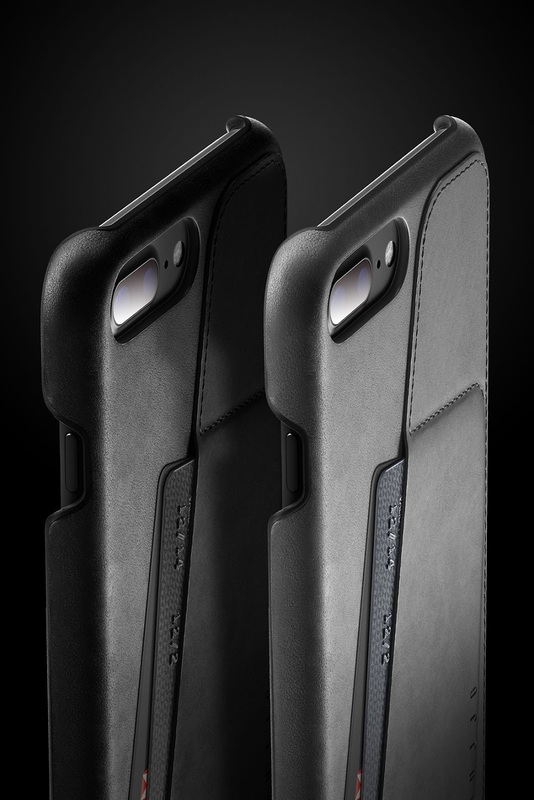 Visit the MUJJO website for more information about these leather iphone 7 cases. Are sherpa trucker jackets currently in style? Well, we think that the answer is, "probably". They are back for the fall/winter. 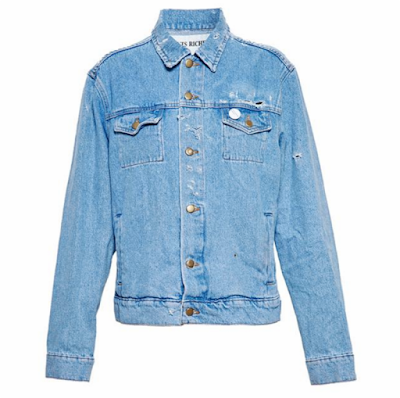 The denim trucker jacket is one example of the use of Sherpa with outerwear. But the denim look is not the only option. What's better than a Sherpa lining for warmth or to add a little extra style to the collar? 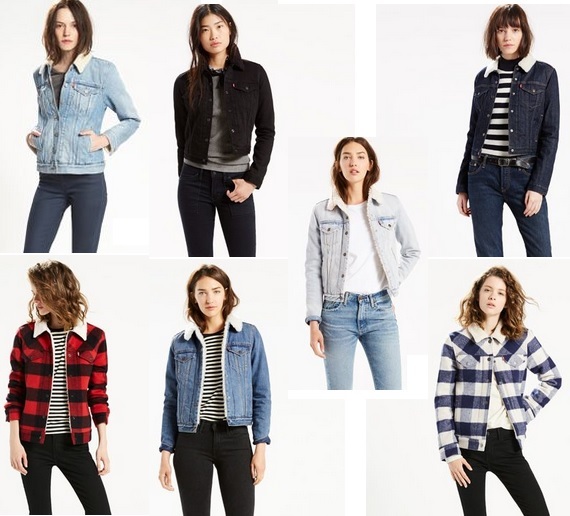 If you are interested in purchasing a women's Sherpa trucker jacket, we suggest you visit the Levi's website. They have new washes, finishes and styles available. By the way, we are not talking about the Sherpa people who are an ethnic group in eastern Nepal. Sherpa material is a soft, thick polyester fabric made to resemble sheepskin (it can also be a cotton/poly blended fabric). The material feels like suede on one side and soft, fleecy wool on the other. The Trucker Jacket is typically thought of as a classic Levi's style denim jacket. 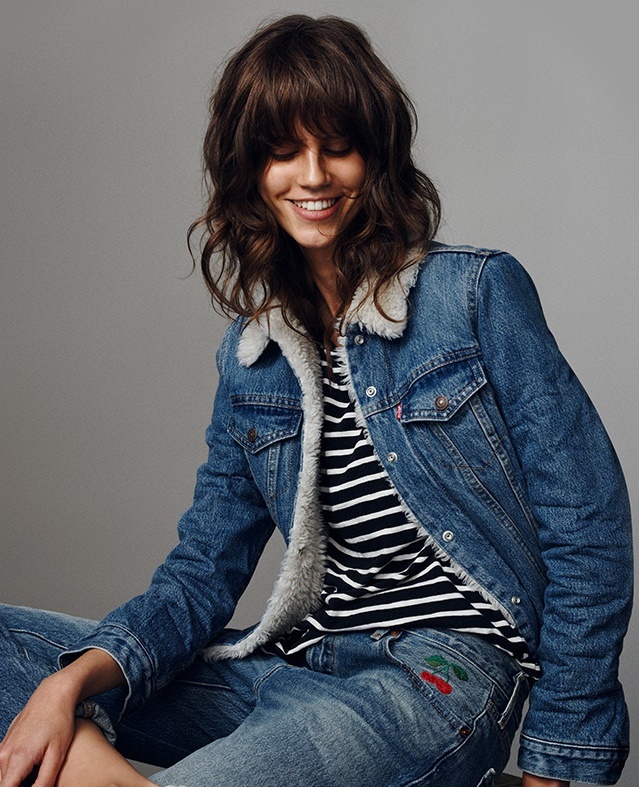 The Sherpa Trucker jacket is the classic Levi's style jacket which also has Sherpa fabric. Ready to set the fashion world on fire with his new clothing line HOT ME$$ out Wednesday, September 14TH, 2016, fierce designer Matt Sarafa has an aesthetic all his own and is a rising talent to keep an eye on. Already winning audiences over as fan favorite as the "Project Runway Juniors" standout star, the remarkably talented young designer proved he has what it takes to survive under the strenuous pressure of the fashion industry. Mentored by Emmy Award winner Tim Gunn, Matt is ready to release his unisex clothing line to people around the world this fall. 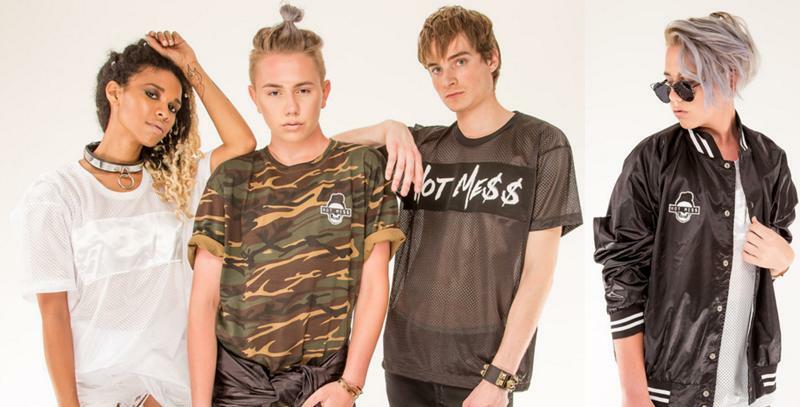 Inspired by the "Unconventional Challenge" on Project Runway Juniors, Matt took his knowledge of fashion along with his avant garde style to create his first clothing line HOTT ME$$. This trendy line will include a variety of shirts, an amazing bomber jacket and a few accessories including a snapback hat and backpack. Created for women and men of all ages, Matt's line features an edgy, urban and fun style that is not afraid to push boundaries or take risks. The budget friendly line will also be available for both United States buyers, as well as his growing international audiences. Growing up in Manhattan Beach, California Sarafa always had an artistic side, loving to draw and paint as a child. After binge watching an entire season of "Project Runway" with his mother at the age of 7, he knew fashion was his true calling. He then learned how to hand sew from his grandmother and eventually began taking classes to perfect his technique. Growing up in the age of YouTube, Matt started his own channel which features makeup tutorials and fashion tips and advice, which is watched by thousands of budding fashionistas looking for a little help and inspiration. This caught the attention of producers for "Project Runway: Threads," which aired in 2014. A fan favorite on that show, Sarafa was a no-brainer choice for producers when the networks newest show "Project Runway Juniors" aired in October of 2015. When Matt isn't busy launching his new clothing line, building his fashion empire, or spending time studying as a new freshmen at UCLA, Matt loves giving back working with charities such as Life World, Children's Hospital LA and the Pink Lotus Foundation.